Johannesburg – The nursing sister fighting an arenavirus is showing signs of responding to her treatment, although she is still in a serious condition, the Morningside Medi-Clinic said on Friday. Meanwhile, the number of people being monitored after coming into contact with patients who had developed the viral haemorrhagic fever associated with the virus, has dropped from 94 to 31, spokesperson Melinda Pelser said. Three people are known to have died from the virus. Paramedic Hannes Els became ill after accompanying Cecilia van Deventer from Zambia to South Africa in September when it was thought she had tick bite fever, and clinic nurse Gladys Mthembu died before the virus, which is associated with rodents, could be identified. “Antiviral treatment continues and there are indications that she is responding to this treatment,” said Pelser of the nursing sister currently being treated. Monitoring of the remaining 31 people is done while they are at home and at work and so far nobody has presented with the virus. Johannesburg – The mystery viral haemorrhagic fever which killed three people in South Africa has been provisionally identified as an arenavirus, the National Institute for Communicable diseases and the Department of Health said on Sunday. “The causative agent of the disease… may be a rodent-borne arenavirus related to the lassa fever virus of West Africa,” said NICD’s Dr Lucille Blumberg. She said tests done by the NICD and the Centres for Disease Control in Atlanta, US indicated that the disease seemed to be a kind of arenavirus. Arenaviruses cause chronic infections in multimammatic mice – a kind of wild mouse – who excrete the virus in their urine which can then contaminate human food or house dust. 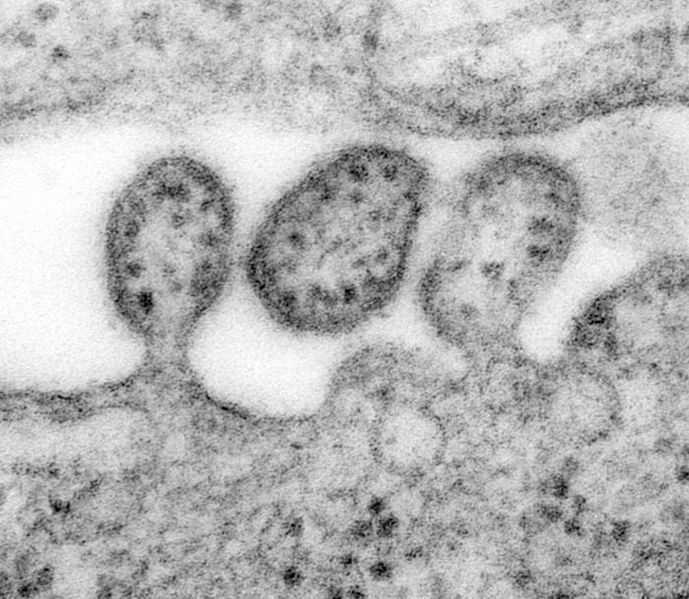 Viruses similar to the lassa fever virus have been found in rodents in Africa, but other than in West Africa, have not been found to cause diseases in humans. Therefore further tests still need to be done to find out whether this current strain is an undiscovered member of the arenavirus and what its distribution is. Arenaviruses are enveloped ss(-)RNA viruses with 2-component genomes. The ones affecting humans are generally rodent-associated, and are transmitted to humans by contact with rodent urine and/or faeces. Perhaps the best known example from Africa is Lassa fever, which is found in West Africa. 13 October 2008 — The results of tests conducted at the Special Pathogens Unit, National Institute for Communicable Diseases (NICD) of the National Health Laboratory Service in Johannesburg, and at the Special Pathogens and Infectious Disease Pathology branches of the Centers for Disease Control in Atlanta, USA, provide preliminary evidence that the causative agent of the disease which has resulted in the recent deaths of 3 people from Zambia and South Africa, is a virus from the Arenaviridae family. So we have what looks like a new arenavirus, popping up out of Zambia most unexpectedly. People who knew the index case – Cecilia van Deventer – are most concerned, as they know of no risks that they are not also associated with. This entry was posted on 24 October, 2008 at 16:41 and is filed under General Virology, Uncategorized. You can follow any responses to this entry through the RSS 2.0 feed. You can leave a response, or trackback from your own site.